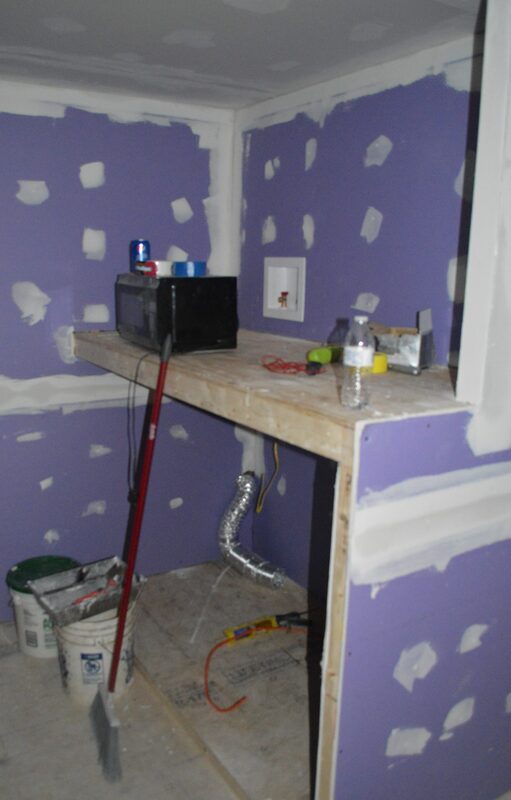 More renovation progress to share!! 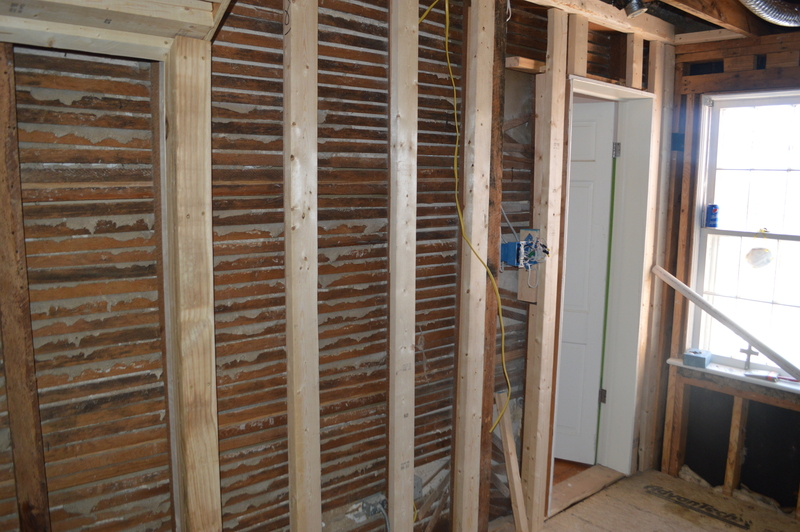 Here’s what the inside of the former doorway to the hallway looks like plastic-ed over. 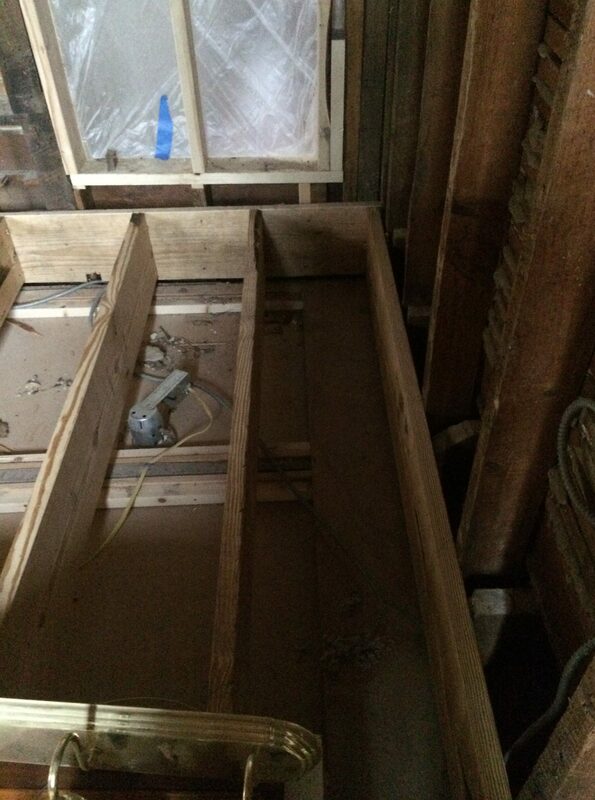 And as you can see from the pic below, we have new support beams for the new walls. 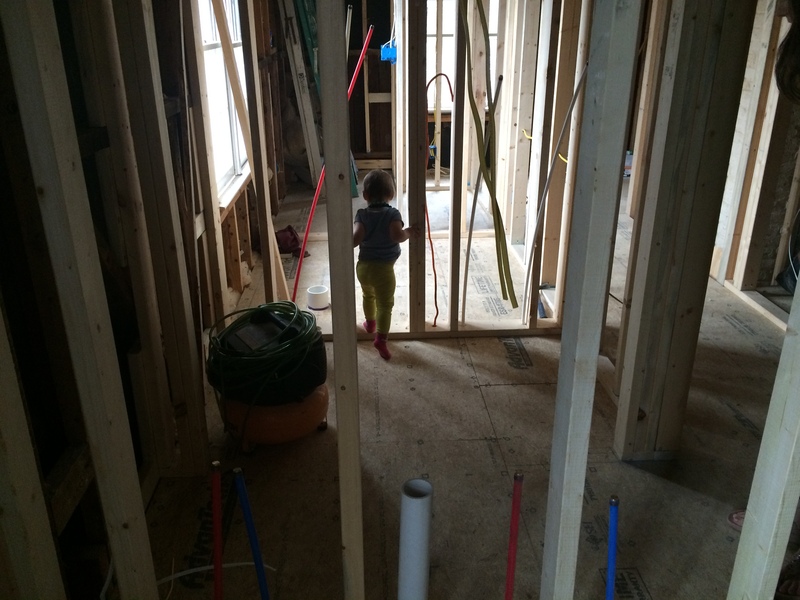 Above is a photograph taken from the master bathroom-to-be of Evie walking through the laundry closet-to-be into her bathroom-to-be! In the picture below, you can see David holding Evie at the end of the hallway. 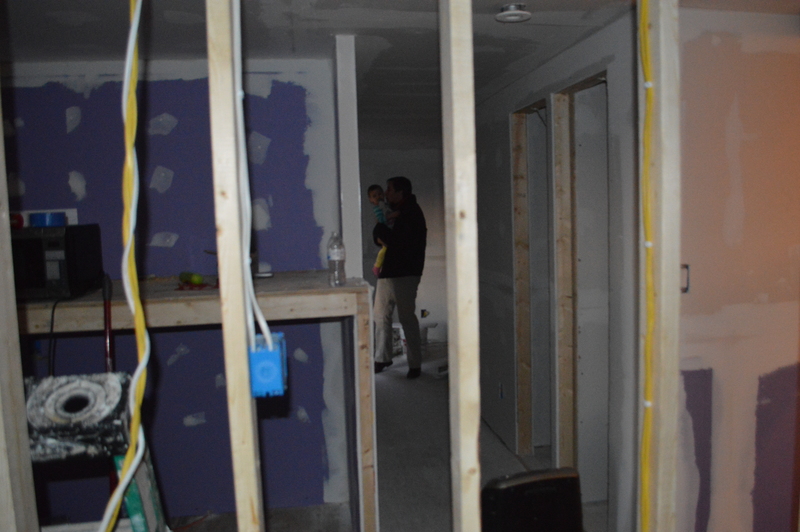 I’m taking the picture and standing in the master bathroom-to-be, but a lot of the drywall has gone up!!! 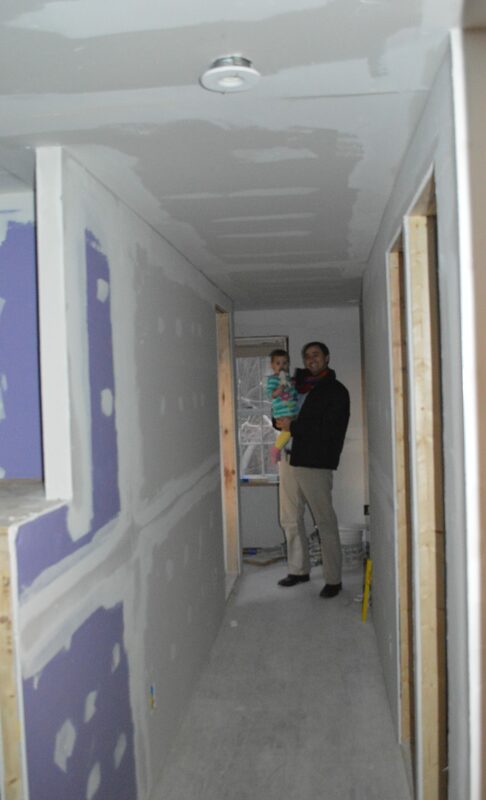 Here’s a close-up of the linen closet-to-be! 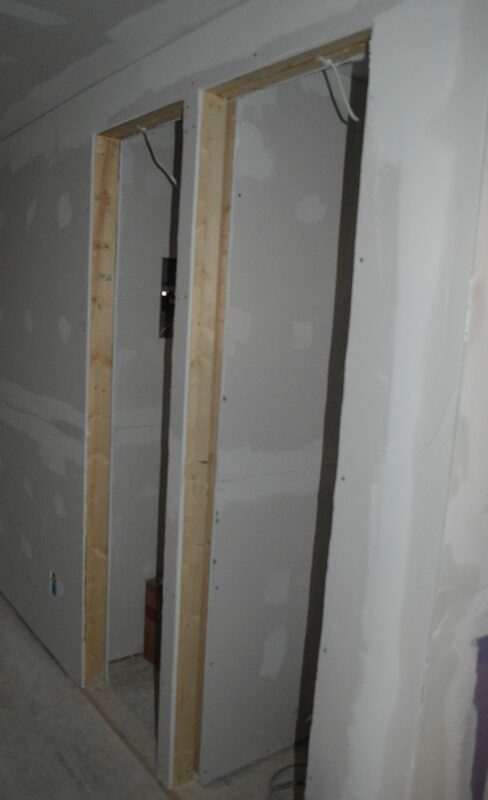 And below is a close-up of the laundry closet-to-be!!! BOOM! How about that progress!! 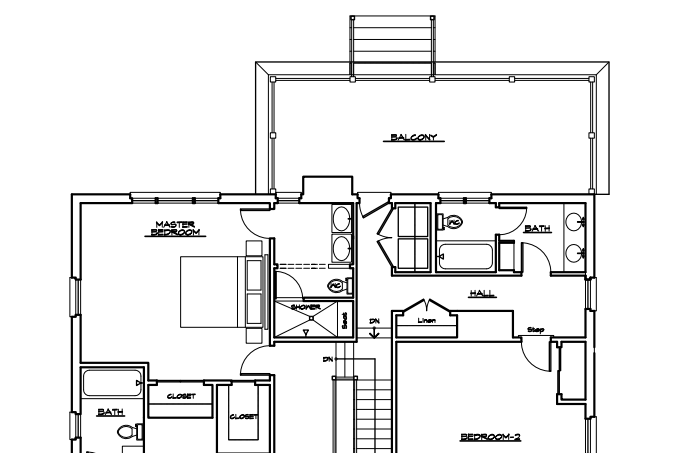 The rest of the walls (ie for the bathrooms) aren’t even up yet, but the ones that are look great! Will share more soon I promise! Peggy I just sent you an email. This is incredible!!!!! We’ve spent hours upon hours at the Albemarle County records department trying to figure out the history but it’s too murky after around 1915 and we can’t make sense of it. Looking forward to learning everything you can tell us!